Description: Sized 25" x 18". 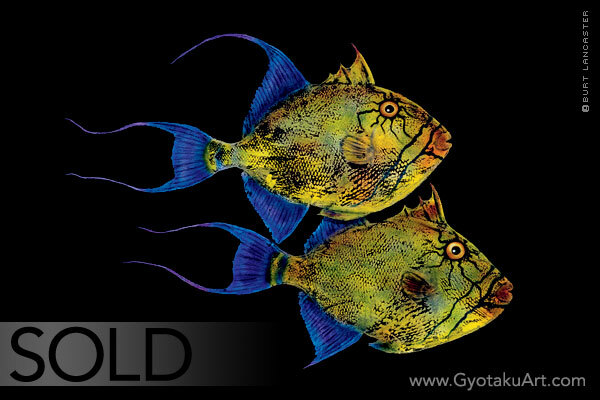 Two queen triggerfish are on a black background. Giclee is available. Species: Coloration varies but always bright and showy. Ranges between bluish to greenish with yellows and oranges. Long trailing fins make queen triggers a special sight. The Queen Triggerfish is found on hard bottoms and reefs.